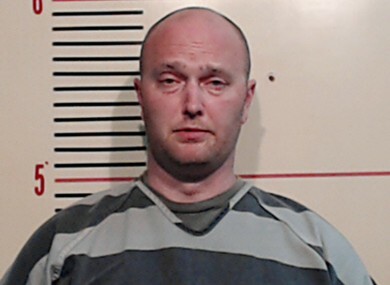 A WHITE TEXAS police officer faces a murder charge in the shooting of a black teenager after being fired earlier in the week, authorities said. Roy Oliver turned himself in last night, just hours after the Dallas County Sheriff’s Office issued a warrant for his arrest in the 29 April death of 15-year-old Jordan Edwards. Oliver, a former officer in the Dallas suburb of Balch Springs, was later released after posting bail at the Parker County Jail in Weatherford, about 95 miles west of Dallas. His bond had been set at $300,000. Oliver fired a rifle at a car full of teenagers leaving a party, fatally shooting Edwards who was a passenger in the vehicle. The teen’s death led to protests calling for Oliver to be fired and charged. Edwards and his two brothers and two other teenagers were leaving a house party in Balch Springs when Oliver opened fire on their car with a rifle. The bullets shattered the front passenger-side window and struck Edwards. It took a few moments for Edwards’ 16-year-old brother, who was driving, and other passengers to notice that he was slumped over in his seat. Police had said the teenagers’ car was backing up toward officers “in an aggressive manner,” but later said body camera video showed the vehicle actually driving away from the officers. The investigation into the shooting “will continue and does not conclude with the arrest,” sheriff’s spokeswoman Melinda Urbina said. Email “Texas police officer to face charge of murdering black teen at party”. Feedback on “Texas police officer to face charge of murdering black teen at party”.